even though I took every protective precaution, I was passively inhaling 2nd hand and 3rd hand smoke from that addict! I was looking for places to move and found one that would work but in the end, passed it up because of the drive in heavy traffic that would result and frankly it could have ended up being a worse nightmare but by certain Graces, I was on the list to move into another unit should one open and it did!! I got the call Feb. 1st and was packed and moved in on the 13th which was another miracle. I never packed so fast in my life. Above is a photo of my new place and you will note nobody on either side of my porch, windows, door to bring smoke into my space! Oh and the tress out front–the glorious trees! And 3 awesome pines are my view from the back. I tell you man… this is heaven! Okay–so its not the mountains; and everyone knows I miss them, but this is as good as it gets around here in the concrete jungle called civilization — remember, I’m here because my daughters and grandchildren are here. Speaking of which, here she is! The new baby, 2 weeks old! So yeah, life’s been busy. I hurt my knee (back in January) by having a real rambunctious day at the gym when deciding to run on the treadmill. Then right after that, I lifted boxes and climbed ladders in the process of packing, moving and unpacking which made the knee worse. I’ve been pretty much limping through the rest of February and nearly all of March (as of this post) and it’s just now starting to get better, but not quite fully back yet. I love this tree just outside of my front door of my new apartment — and so happy to be away from the smoking neighbor. Yay! During the cold months, I did not hike because I was concerned that I’d end up out in the deep woods and have trouble making it back because I was having to use an inhaler at the time with the cold dry air and the 2nd hand smoke. I just felt it wise not to hike in the cold air when I was already having some trouble with asthmatic symptoms so worked out in the gym — until I hurt my knee that is. Well, now we’re caught up somewhat. I’m on the flip side of the set backs. I’m still running along side of my grandson’s college goals, filling out scholarships and sorting through all that for him and will breathe a sigh of relief when we have him in college, hoping there are enough funds. Speaking of which ….must get to the gym. Just in the recent days that have I been able to bike on the spin bike without undue pain… hurts still and always pain going down steps but hey, Rome wasn’t built in a day, as they say. I am able to bend the knee much better now. I will consider a doctor if we get into April and it’s a problem still but I feel it recovering …. albeit oh so gradually. This knee has been a nemesis before– a number of times in my life– but always recovered. I don’t want any kind of surgery if I can avoid it. I really do see a 5-mile hike around the lake in my near.future again; and I’m sure to be using those trekking poles too. LOL . I’ve had a setback but I’m coming back! 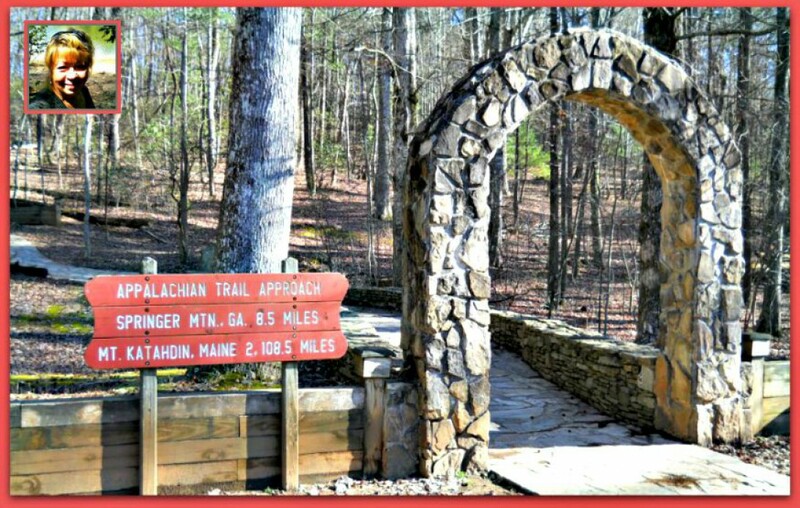 I will get back to hiking and if I ever end up on the AT…. well, we’ll see. Seems a far off dream but it’s not faded completely away. Either way, I learned my lesson… no more jogging on the treadmill for me!